Exciting things are already happening in Start Tel Aviv 2017. Twenty countries are currently conducting simultaneous competitions for startups all over the world. The 20 outstanding founders who will emerge victorious from the contest will have the chance to represent their countries in the all-expense paid, five-day boot camp in Tel Aviv next month. Start Tel Aviv is a worldwide competition sponsored by Tel Aviv Global, a municipal company under the management of the Office of the Mayor of Tel Aviv, and the Israeli Ministry of Foreign Affairs. The competition gives technology startups from different countries the chance to prove themselves and participate in the DLD Innovation Festival. This year, the festival will happen from September 3-7, with the main conference on September 6 and 7, and other little events before and after the conference. These include simultaneous meetups between companies and startups and pitching opportunities to global media and potential investors. 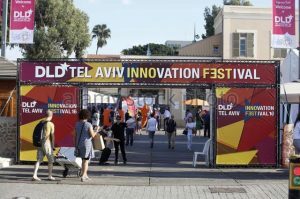 The DLD Innovation Festival, which is a gathering of global entrepreneurs and innovators, opens up a huge gate for the startup founder as he/she gets to experience firsthand the innovation ecosystem of Israel. The event focuses on the different sides of innovation – technological, digital, urban, and social. Last year, two Filipinas were part of the 30 women entrepreneurs from all over the world invited to participate in the DLD Innovation Festival. They were Ginger Arboleda, founder of Taxumo, and May Montero, founder of Tambio. The event was opened exclusively to women entrepreneurs. Taxumo is a user-friendly bookkeeping system that helps businesses in two ways. Companies input their expenses, purchases, revenues and other financial information in the program, and it will compute their income tax and assist them in tax filing through an automated system of filling out BIR forms. This company, which launched in November, is seen as one of the Philippines’ promising start-up businesses. Tambio is a platform that simplifies the process of submitting raffle entries for both the contestant and the company raffling off prices. The unique thing about this raffle system is that it removes the need to fill out forms but does not take away the fun of dropping your raffle ticket into a “tambiolo,” a traditional raffle drum. Other participants came from Finland, France, Chile, Vietnam, India, Kenya, New Zealand, and many other countries. The start-up entrepreneurs had their chance to be funded by venture capitalists and to pitch in front of angel investors. America Silva, the CEO of TakeaHand, commented that the event was an amazing opportunity to connect with people around the world. TakeaHand, Chile’s representative in last year’s competition, is a startup that manufactures prostheses of the upper and lower extremities through 3D printing and material engineering. Israel is home to many startups, including the ones that eventually became multinational and billion-dollar companies. Viber, Waze, and Wix are just some of the Israeli tech companies that are already household names for many of us. Other less-known but promising companies with innovative solutions to problems we never considered before are sprouting throughout Jerusalem and Tel Aviv. One is Zebra, a medi-tech company that uses algorithms and predictive software to detect breast cancer in patients by analyzing thousands of mammograms. Arbe Robotics, another ex-startup, specializes in autonomous delivery drones with built-in radar systems to detect obstacles from a kilometer away. “There are about 5,000 startups in Israel. It means it’s the greatest density of startups compared to any other country in the world. It amounts to 1 startup for every 2,000 people. The only reason why all these companies are setting up here is because they’re looking for innovation,” says Wendy Singer, Executive Director at Startup Nation Central.